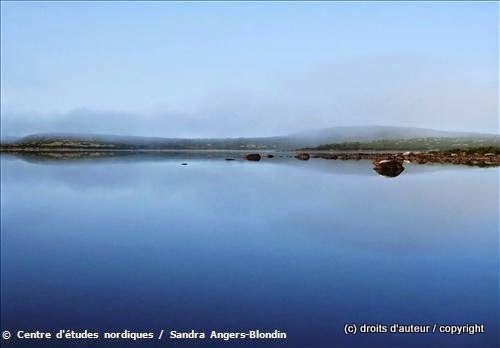 The CEN Boniface River Station is owned and run by the Centre d’études nordiques (CEN: Centre for Northern Studies) whose secretariat is based at Université Laval, Québec, Canada. 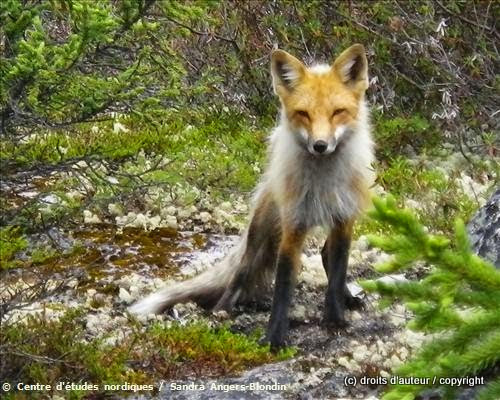 Location: The Boniface River Research Station is situated within the forest tundra less than 10 km from the tree limit and some 50 km inland from Hudson Bay. 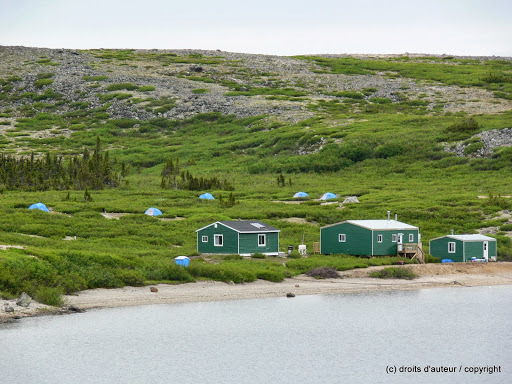 The nearest town settlement, Inukjuak (< 400 inhabitants) is located 140 km east of the station. Keywords: Mountain, valley, shoreline, tundra, treeline, thermokarst lakes, lakes, permafrost, river(s), peatlands, glacial features, streams. Temperature: Mean annual temp. -4 °C ; Mean temp. in February -24 °C ; Mean temp. in July 12.5 °C. Winds: Mean annual wind speed 4m/s ; Max. wind speed 21 m/s ; Dominant wind direction - South. Precipitations: Rain and snow ; total annual precipitation 500 mm. Altitude: 115 m at the station (110 m at river); 90 m to 300 m in study area. 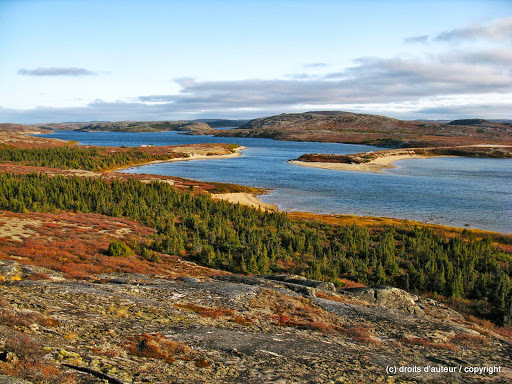 The landscape around the station is composed of both wooded hills (30 %) and hills dominated by tundra vegetation (70 %). The most protected sites are generally forested except for areas that have been affected by fire which induced an opening in the forest cover. 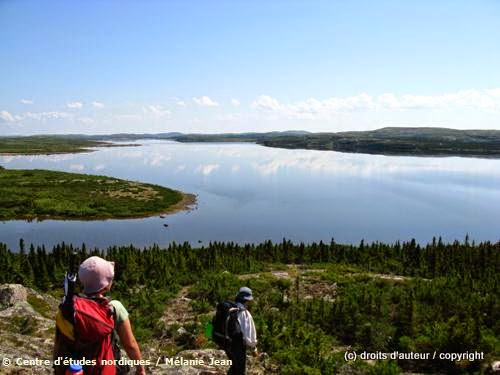 Landscape features of scientific interest are discontinuous permafrost, eskers, thermokarst ponds, palsas, the Boniface River, vegetation and the treeline. No communities live at or near the Boniface River Station. 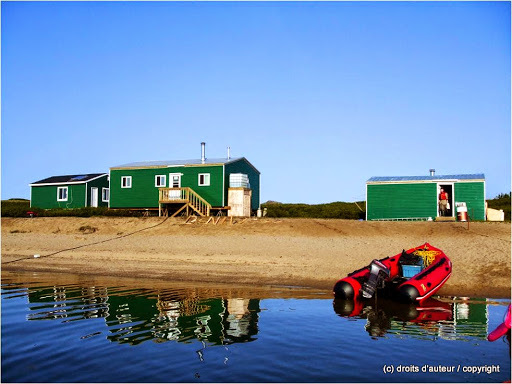 The nearest community is Inukjuak more than 140 km away and on the shores of eastern Hudson. Isotopic chemistry, climatology, environmental science, pollution, geocryology, geomorphology, soil science, mapping gis, hydrology, terrestrial biology, paleolimnology, paleoecology, limnology. 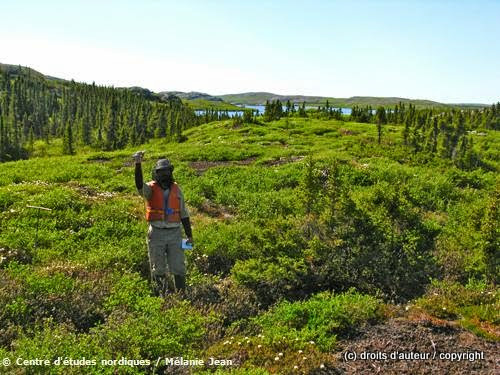 Topics which are studied at the station include the following (but are not exclusive to these): vegetation dynamics of a subarctic topo-sequence and the interaction between climate and forest fires; genetic homogeneity in the ecological heterogeneity of Québec sub-arctic forests in relation to climatic change; Black spruce growth as an indicator of climate change at the treeline in northern Quebec; origin and dynamics of wooded palsas in the Boniface River region; Dwarf birch (Betula glandulosa) densification since 1950; the influence of permafrost on riverine ecosystem dynamics; fire history of the Boniface River region; long black spruce tree-ring chronology; riparian ecosystem dynamics; Holocene evolution of a palsa plateau at the tree limit; and structural dynamics of an ancient spruce lichen woodland at the northern forest limit. Permits are not required to access the station or to conduct research in the area. 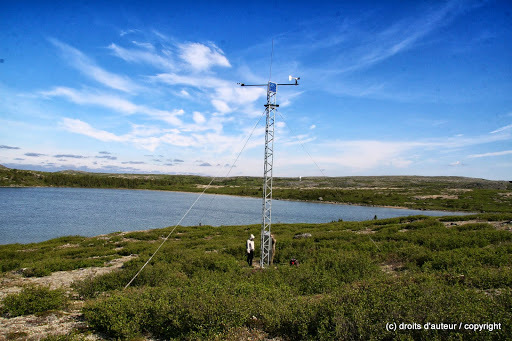 Meteorological stations from the SILA Network are installed within the proximity of the research station have been recording the prevailing conditions at the tree limit, including the thermal contrast (air and soil) between tundra and forest environments, since 1988. In addition, tree growth has been measured with the aid of a dozen electronic dendrometers since the summer of 2005 (measured environmental variables). 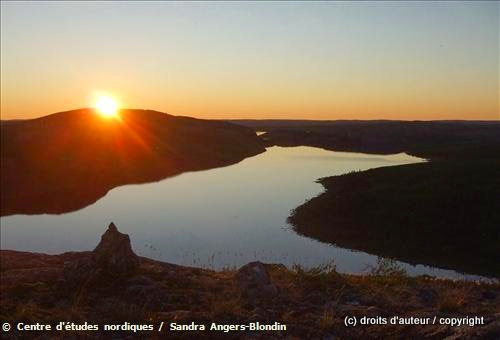 CEN's Nordicana-D series freely and openly give access to online climatic and environmental data reports archived at CEN, aiding the management of the wealth of environemental data sets produced by CEN's monitoring and research activities. The following data serie is available for this area : CEN 2013. 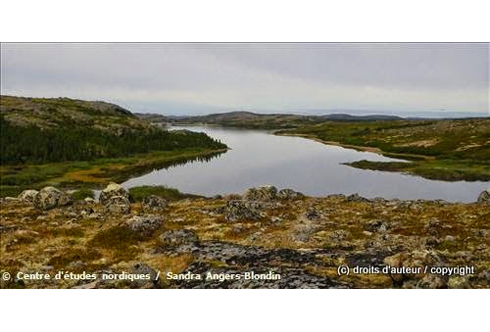 Environmental data from Boniface river region in Nunavik, Quebec, Canada, v. 1.0 (1988-2012). Nordicana D7, doi: 10.5885/45129SL-DBDA2A77C0094963.Visit the Website www.cen.ulaval.ca/nordicanad/ to view the complete list of available data. 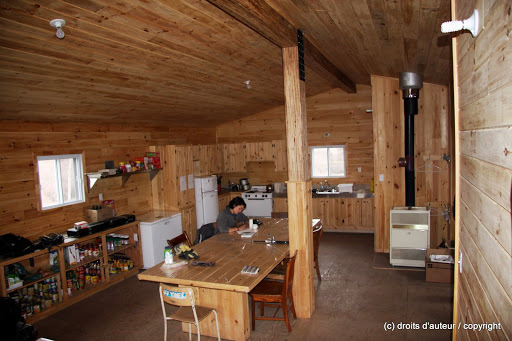 The Boniface River Research Station was constructed in 1990 by the professor Serge Payette and his team to conduct research on past treeline and tree growth dynamics in the context of climate change. It was later upgraded by CEN in 2010-2011. Presently, the station is comprised of three individual buildings (one with a shower) that serve primarily as laboratories and a kitchen building. Total area: The total available area is 50 m2 including 25 m2 for scientific laboratories. Number of rooms (beds): Six beds under 2 roofs, a living area and a kitchen. Dormitory tents and sleeping bags for researchers and students can be provided by the CEN. 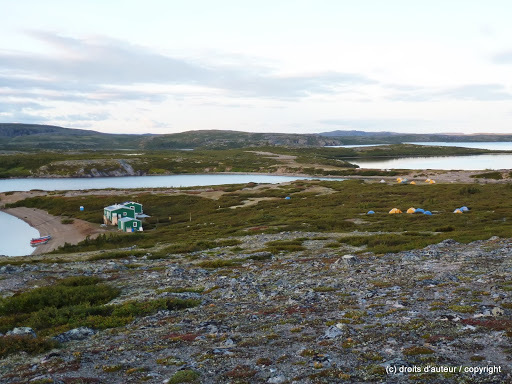 Capacity: A maximum of nine people can be accommodated at the research station during the summer season (up to 20 people with tents). Showers and washing machine, water is pumped from the lake. The station is powered by solar energy and heated with an oil furnace. Shower and laundry facilities are available in each house. Solar and hydroelectric power are available 24/7. Waste must be sorted and evacuated as soon as possible to Whapmagoostui-Kuujjuarapik. Human waste is buried onsite (dry toilettes). Satellite phones and VHF are available for rent through CEN. WHMIS training or equivalent is required to use the labs. Chemical storage is not authorized. All products must be brought back after use. Snowmobiles in winter. Two Zodiac-style boats are onsite and an aluminum boat equipped with a motor is stationed by the airplane strip, which is located on the opposite bank from the camp. Must make prior arrangements with camp manager for fuel. 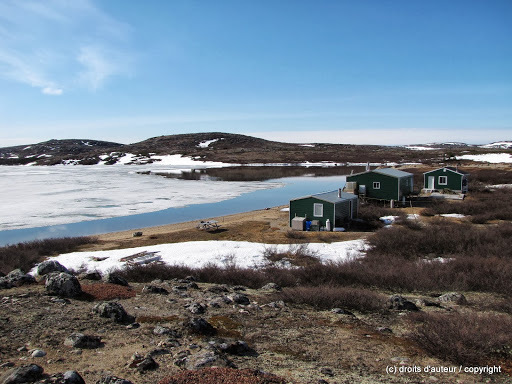 Access to the station is by chartered helicopter or Twin Otter, departing from Whapmagoostui-Kuujjuarapik. Since 2001, supplies for the research station have been delivered primarily by fixed winged aircraft, i.e. Twin Otter, thanks to the construction of a 300 m long airstrip situated on the opposite shore of the research station. Access to the different research sites is primarily by helicopter or by the Boniface River, which is navigable for some 20 km. Onsite there are two zodiac-style boats. An additional aluminum boat equipped with a motor is stationed by the airplane strip for the shuttle of people and luggage. Nunavik Rotors, Héli-Inter and Whapchiwem offer helicopter services. Air Inuit and Air Creebec offer air charters. Airstrip is located on the opposite shore of the research station. Sand airstrip of 300 × 40 m (length × width). Lake landing available. Helicopter lands on level ground. Safety equipment recommended to conduct field research in the area include: pepper spray, scaring pistol, communication device, first aid kit, firearm (recommended). High degree of self-sufficiency is expected. It is the responsibility of the user of the station to ensure that he or she has the necessary insurance to complete his or her research. The CSST provides insurance coverage to employees or student employees only for accidents at work. In all other cases, personal insurance must cover victims for accidents and evacuation. It is therefore essential to have adequate coverage in terms of activity and destination. 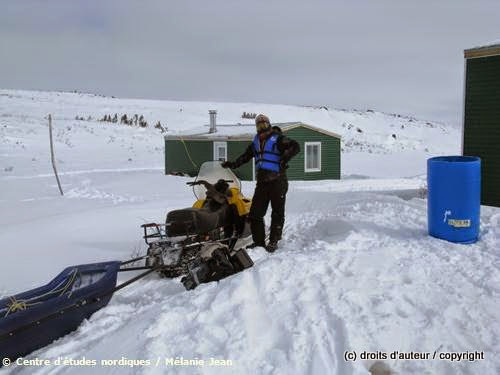 Quebec Health Insurance is valid in the Umiujaq area. Note that no agreement exists with the Northwest Territories or Nunavut, even if these areas are located in Canada. There are no medical facilities near Boniface River. Nearest medical facilities are in Puvirnituq. Heli lifted out to Umiujaq and then 45 min. to Puvirnituq by plane (1-2 hours in total). Transportation time depends on airborne services availability and weather conditions. The station is not equipped with compulsory safety equipment. The research station is available to all researchers (university, college, governmental and private) conducting research in the area. The station can also accommodate small groups of students wishing to undertake training in the North.